Asma Shafique Department of Orthodontics, Lahore Medical Dental College, Lahore. Abida Ejaz Professor/Clinical Dean, Orthodontic Department Akhter Saeed Medical and Dental College. Sadia Iqbal Professor, Department of Oral Pathology, Lahore Medical & Dental College, Lahore. 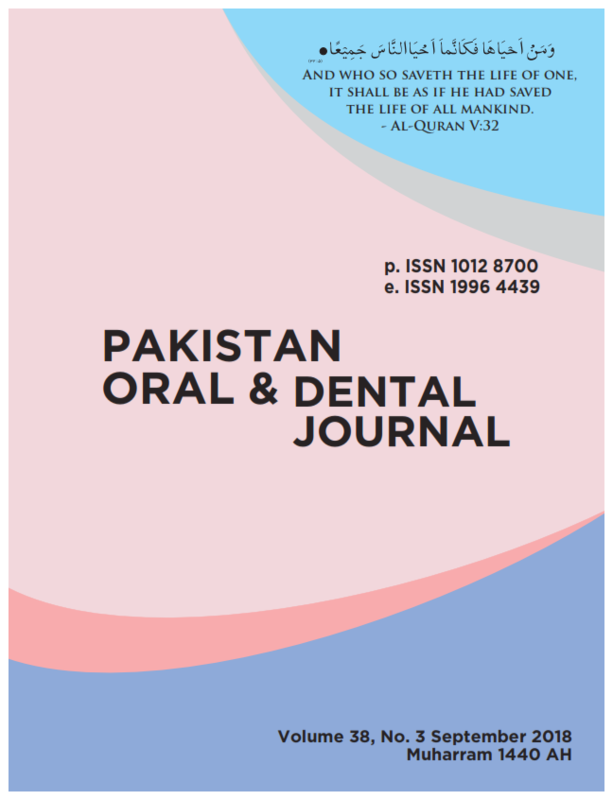 This cross sectional study was carried out to assess the results of orthodontic treatment provided at Lahore Medical and Dental College. Pre- and post treatment casts and orthodontic files of last 40 finished orthodontic cases were utilized to study the treatment results by using PAR index. Pre- and post-treatment PAR score was calculated for each patient. All patients who received complete orthodontic treatment were included in the study. One investigator assessed all the components of the PAR Index. ANOVA was used to compare point reduction in PAR score in various malocclusion groups. The degree of correlation between various variables was assessed through Pearson Correlation Coefficient. The results showed that there was100% improvement in upper and lower anterior segment. Class II div I malocclusion displayed maximum improvement in comparison to other malocclusions. There was a significant positive correlation between pretreatment PAR and point reduction in PAR score. Weighted pretreatment PAR was found to be a significant positive predictor of point reduction.